Mix up family game night with Proof! Proof! is an award-winning, fast, fun, and addicting card game that the whole family can enjoy! For 2 - 6 players, ages 9+, and taking only 15 minutes, Proof! will have you showing off both your math skills and creative thinking as you race to find equations hidden among nine number cards. Got the cards 2, 8, and 10? Concoct an equation like 10 - 2 = 8! Working with 2, 5, 5, 10, and 20? Conjure up a beauty like 5 + 5 = 20 ÷ 2 = 10! Allowing you to use almost any math symbols and all sorts of crazy equations, Proof! is unlike most math games: engaging for both students in a classroom and adults at a party. One player volunteers to be the dealer, shuffles the deck, and then places nine cards face up as a 3-by-3 grid in the center of the table. At the same time, all players (including the dealer) study the cards in the grid and try to create an equation using at least three cards and as many math symbols as needed. For example, the cards 2, 4, 7, and 1 above could be arranged to make 2 + 4 = 7 - 1. When a player finds an equation, she shouts the result, such as “Six!”, which immediately locks out all other players and gives her a chance to prove that the math works. If the proof checks out, she takes the three or more cards that were involved and keeps them in front of her. Every time an equation is found, the dealer replaces the cards that were taken with new ones so that there are always nine cards face up in the grid. Players continue finding equations until all the cards in the deck are used up and no more equations can be found. Once all the cards in the deck are gone and no more equations can be made, the game is over and players count up their points. Each card is worth 1 point and the player with the most points wins! Has Proof! won any awards? We are proud to announce that Proof! 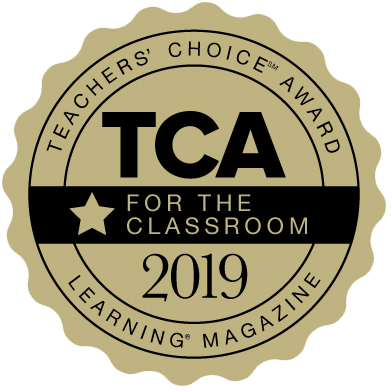 recently won the 2019 Teacher's Choice Awards, with its teacher evaluators raving that Proof! is "an awesome, fun game for students to engage in while learning math" and that they "would definitely recommend this game" for use in the classroom and at home. Proof! also recently participated in the 2018 Mensa Mind Games competition, and many of its brainy members gave it top marks saying, "LOVE this game! ", "Fast moving and different! ", and "A real thinking person's game!". What are the Weekly Challenge Math Puzzles? The Proof! tabletop card game is the inspiration behind our infamous online web game, the Weekly Challenge Math Puzzles. For the more puzzle-minded players out there, each week we post a new set of nine cards that hides a challenging equation. See if you can find the proof! Do you have any multiplication games? Surprisingly (or perhaps not!) this is a common question among teachers and parents looking to help their aspiring mathemagicians learn multiplication and math in general. The Proof! tabletop math game is definitely a fun and effective tool for getting in a ton of practice with addition, subtraction, multiplication, and division, as well as for sharpening those mental math skills. 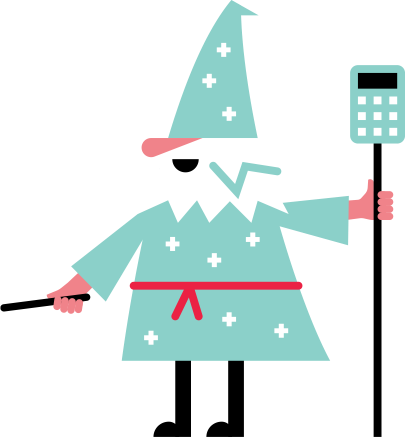 But our free, online Weekly Challenge Math Puzzles are also a great way to get that practice in! If you're looking to work on specific math skills, such as multiplication, we've even hand-selected specific types of our math puzzles so you can focus on the type of math you enjoy (or the type of math you need to improve!). Check out our curated list of Weekly Challenge Math Puzzles below! The Proof! tabletop math game and the free online Weekly Challenge Math Puzzles were created by The Master Theorem Games in New York City. Proof! comes with 100 number cards and an instructions booklet. With numbers ranging from 0 - 100, some easier cards appear more than once and some not at all, a mix that was carefully crafted for optimal fun. Proof! is now available for purchase online and at select retail partners. If you have any questions or comments about Proof! or The Master Theorem Games, please use the form below to send us a note.